Born in Toronto on August 14, 1931, Doreen Alice Ellen (Hayes) Armitage died at Lions Gate Hospital in North Vancouver on May 15, 2018. 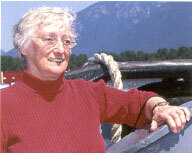 A writer who believed strongly in oral history, Armitage wrote for publications such as Canadian Geographic, Outdoors Canada and Canadian Living before publishing her first book, Around the Sound: A History of the Howe Sound-Whistler (1997), which developed from her many years of boating in the sound, exploring the wilderness and driving the Sea to Sky Highway. Her second book, Burrard Inlet: A History (2001), the first comprehensive history of the inlet, was a finalist for the City of Vancouver Book Award. She interviewed 16 old-tie tugboat captains, engineers and deckhands for From the Wheelhouse: Tugboaters Tell Their Own Stories (2003), which was shortlisted for the Bill Duthie Booksellers' Choice Award. 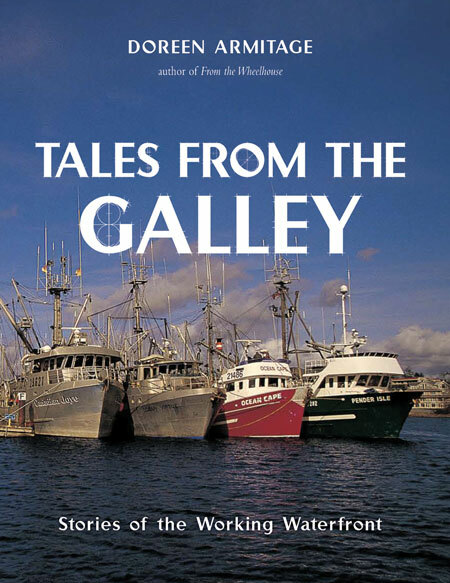 It was followed by Tales from the Galley: Stories of the Working Waterfront (2007), an examination of the working lives of commercial divers, deep-sea drillers, coast pilots, fishermen, tugboaters and Coast Guard skippers. "Doreen was one of those honest, hard-working writers who just wanted to produce useful books that filled gaps in BC's written record," says publisher Howard White. "Along the way she acquired a great affection for BC's working waterfront and felt a compulsion to preserve the stories of old salts while she had the chance. She managed to do that and we all owe her a debt of gratitude for it." Armitage was a Master gardener who was married for 64 years. She received a teaching degree in Ontario and started her career as an elementary school teacher, relocating to British Columbia in 1972 where she continued teaching in the field of Special Education, later earning her Master's of Education at UBC. She worked as a special education consultant with the Vancouver School Board, and also as an instructor at UBC. In retirement, she specialized in natural history, giving lectures on the Lower Mainland. Armitage also lived at Lions Bay and a beloved cottage on Lillooet Lake built in 1977.She is survived by her husband, Bill, her daughters, Lynn and Lauren, four grandchildren and other extended family. Tales from the Galley: Stories of the Working Waterfront (Harbour 2007). [BCBW 2018] "Local History" "Maritime"